Regulation D is a directive of the Federal government that is imposed on all financial institutions (banks and credit unions). 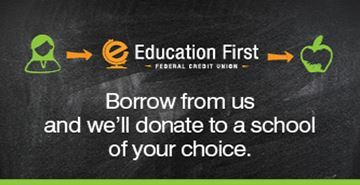 To maintain compliance with Regulation D, Education First Federal Credit Union places a monthly limit on certain types of transfers and/or withdrawals from share savings or money market accounts. Share accounts include all Standard Savings, Special Savings, Money Market Accounts, and Prime Rewards accounts. Each member account is allowed a total of six (6) Reg D transactions per month. Audio Response Transfers, Mobile or Internet Banking Transfers Transfers from a share account to another share or share draft account through our Touch Tone Teller, Mobile Banking or Internet Banking system. ACH Debits Pre-authorized payments from a share account to pay a third-party item (may include, but not limited to: bills, mortgage payments, or insurance payments). Employee Assisted Transfers A request to any of our employees over the telephone to perform a transfer transaction from a share account.